Ms. Card was born in Milwaukee, Wisconsin, and grew up in Southern California. She completed her undergraduate study at the University of California at Santa Barbara, where she received her Bachelor of Arts degree in Law & Society. Ms. Card received her Juris Doctorate from Chapman University School of Law in Orange, California. In law school, Ms. Card was committed to public interest work and was President of the Animal Law Society, a student chapter of the Animal Legal Defense Fund. Ms. Card also provided legal assistance to victims of domestic violence as a student with the Chapman Family Violence Clinic and worked as a Research Assistant to the Chapman Law Professor Timothy A. Canova while he was the law school’s Associate Dean of Academic Affairs. Ms. Card was also the recipient of two CALI “Excellence for the Future” Awards for her class-leading coursework as a student of the Chapman Family Violence Clinic and in Criminal Procedure. 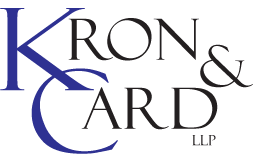 Ms. Card has a general civil litigation practice which focuses on business, labor and employment, and public interest litigation. 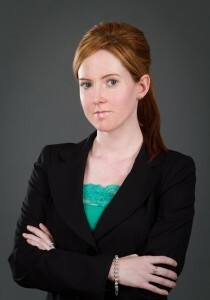 She also remains committed to work in the emerging field of animal law and has transactional experience in contracts & agreements, business transactions, and corporate formation, maintenance, and transactions.